Honestly, for me maple mustard glazed salmon is by far the best way to eat salmon. The sweet maple mustard mixture beautifully complements the salmon. I like this maple mustard sauce so much that I like to prepare a little more and drizzle over the fillets just before serving. The sauce is so good and versatile, you can use it for almost any of your family’s favorite salads and meals. 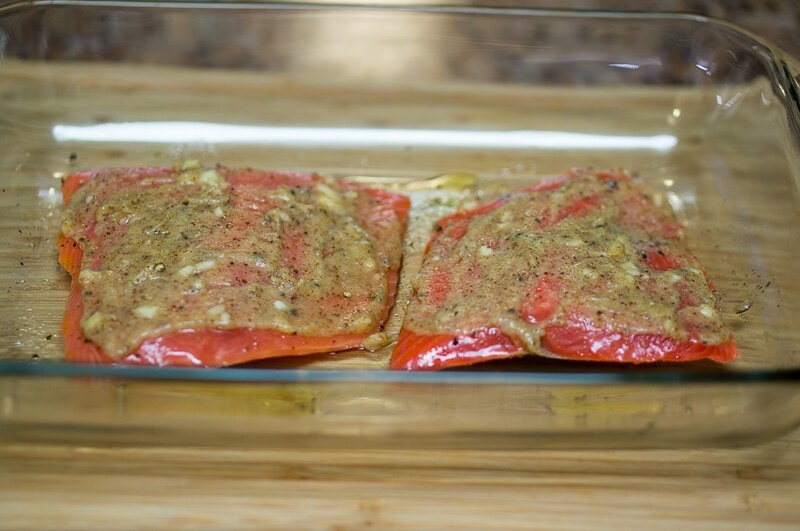 Try this maple mustard glazed salmon and tell me what you think. I will be glad to hear from you! In a bowl combine 2 Tbsp Dijon mustard, 2 Tbsp maple syrup, 2 Tbsp melted pastured butter, 2 large minced cloves garlic and a pinch of salt. 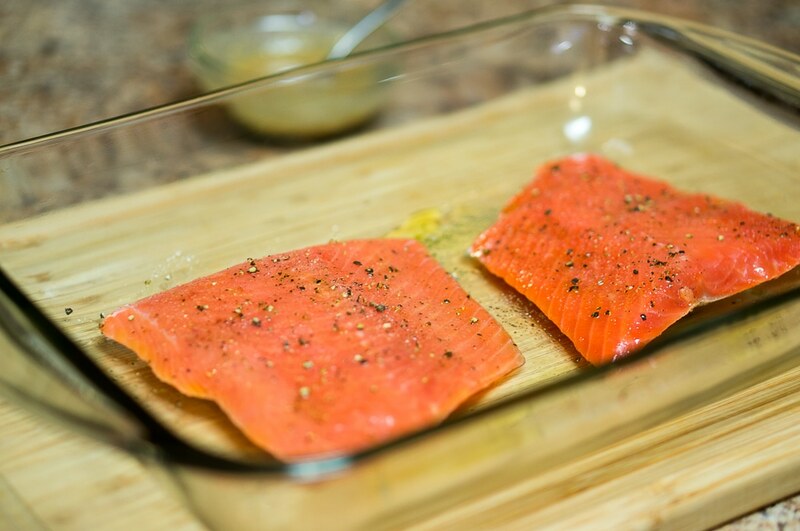 Brush salmon fillets with extra virgin olive oil, season both sides with salt and pepper. Brush top of each salmon fillet with maple mustard mixture and place in a baking dish. Bake at 400 F for about 10 minutes until salmon flakes easily. And just look at that! 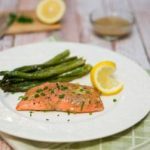 Beautiful and delectable maple mustard salmon ready in just 15 minutes. While the salmon is baking, you can steam some broccoli, saute some of your favorite vegetables or throw together a quick salad. Good and healthy meals don’t have to be complicated. This salmon also goes well with a side of roasted broccoli. 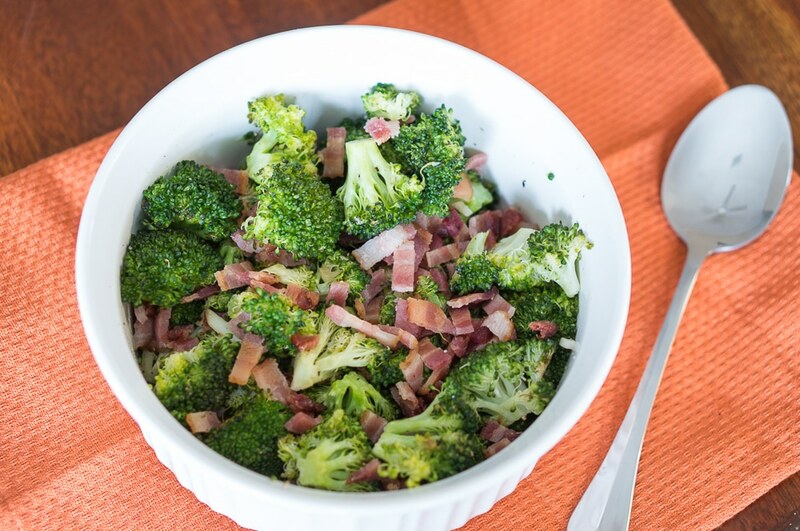 Check out the Roasted Broccoli and Bacon recipe and omit the bacon. Thanks for reading Delicious Meets Healthy! 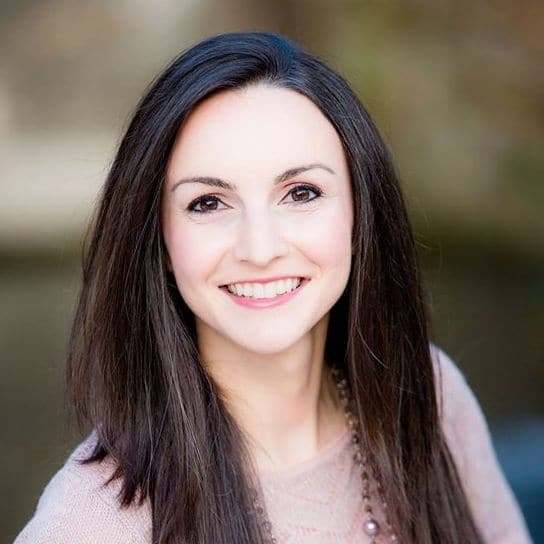 If you like this post and want to receive FREE weekly email updates with healthy and delicious recipes, sign up for my newsletter (link in the sidebar). 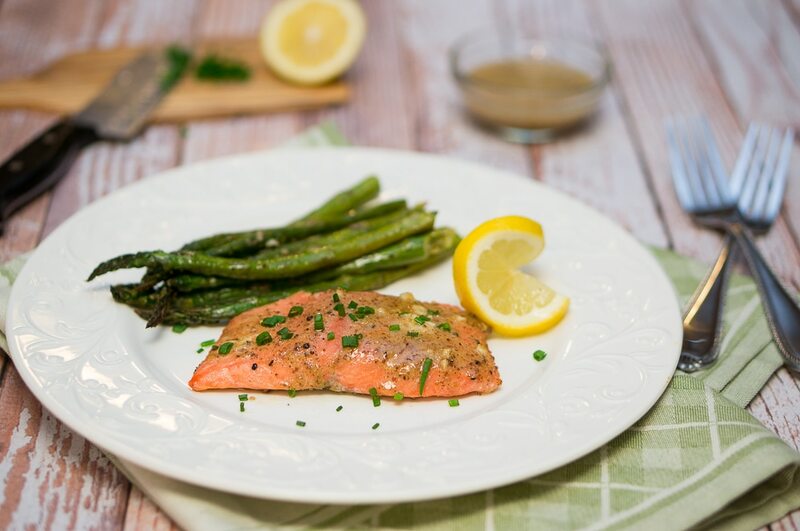 This appetizing and highly nutritious maple mustard glazed salmon is so easy and delicious. Great dinner or lunch for busy families. Bake at 400 F for about 12 minutes until salmon flakes easily. This looks delicious! Love salmon – will have to try this one. Oh I love Salmon! Delicious! This will definitely be cooked soon! I’m really trying to build more fish into my healthy diet this year and this is the perfect recipe to do so! Thank you! Salmon is one of our go-to meals during the week. I’ve never tried the mustard-maple combination but I can see it being a great easy mix of flavors. Such delicious flavors! I love the maple/mustard combination! This is such a simple combination of flavours but I bet it tastes incredible on the salmon! My family’s always craving for salmon. They’ll love this for sure! Thanks Neli. I love salmon and I’m amazed how well it goes with maple flavor. Easy, perfect weeknight dinner! We eat baked salmon a lot and I’m always looking for new glazes. This one looks delicious. Can’t wait to try it! This Salmon looks wonderful. My whole family is going to love this.